And then, suddenly, nothing happened! The Togolese striker may have been pointing the way to West Ham, but Daniel levy had other ideas. Probably much to the annoyance of SkySports Jim White, and despite many claims that there were “lots of things happening” transfer deadline was more dead duck than dead exciting. For Tottenham’s Togolese striker, Emmanuel Adebayor however, it must have been more frustrating than for even the hyped-up, yellow-tied, Mr White. 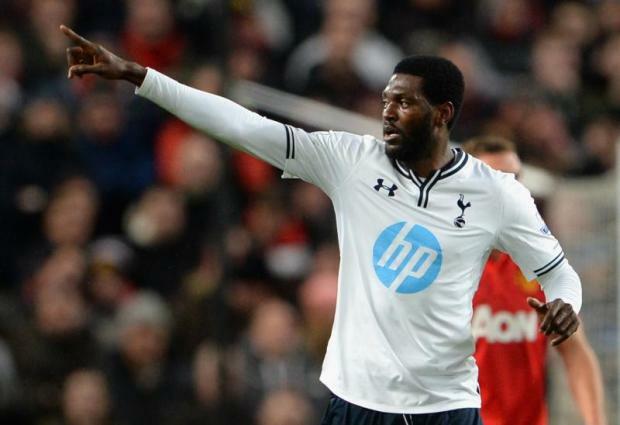 Adebayor, who always appears the epitome of tact and reason when in TV punditry role, it seems had once more donned the sackcloth and ashes of the outcast at his club, this time with Tottenham Hotspur. It’s a well-trodden path for the 30-year-old, who ‘enjoyed’ similar pariah status at both Arsenal and Manchester City. The January window offered a potential escape route, but, one-by-one the potential suitors fell by the wayside until only one was left. And although this was Adebayor’s favoured option. Spurs’ chairman Daniel Levy vetoed the deal, and both player and club were left in the mutually unsatisfactory position of an unwanted player in the squad until the end of the season – at least. As the weeks of the window ticked by, there were rumours that the nouveau-riche of French champions Paris St Germain were interested in taking Adebayor to France as back up to the talismanic Zlaten Ibrahimovic. Roma were also linked, with talk of a move to the eternal city. A move to the continent would probably have suited both player and Tottenham, but as the time came for talk to turn into deed, the rumours dispersed like so much smoke and mirrors. This left only a domestic move on the cards, and even that was likely to be only a loan deal with Spurs being compelled to pick up a part of the players reported £100k per week wage bill. Perennial last-day-dealers, Stoke City were rumoured to be interested, but without even knowing if any link carried credibility, it quickly became clear the player favoured a move that would allow him to stay in the capital. Even then, options were there. Alan Pardew, newly ensconced at Crystal Palace and flush with early success apparently enquired about Adebayor’s services. To no-one’s particular surprise, Harry Redknapp seems also to have pitched his QPR hooped hat into the ring, and a deal to one of the two seemed likely, with a loan to the end of the season on the cards, and Spurs stumping up half of the striker’s wages. 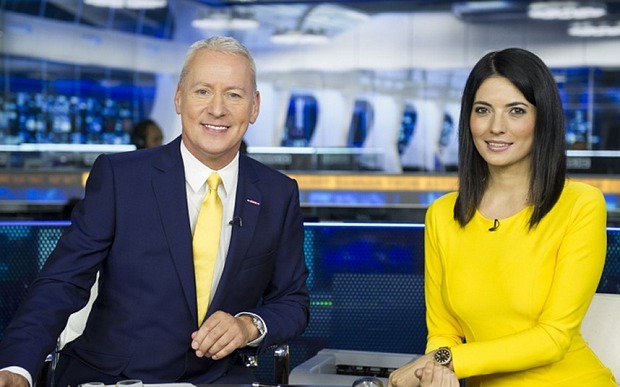 If things went smoothly on deadline day however, Jim White probably wouldn’t need the calming influence of Natalie Sawyer alongside him to stop his head exploding. Enter West Ham. Here comes trouble. Adebayor is thought to have favoured joining Big Sam’s Happy Hammers, and by all accounts made it clear that the other runners, were not in the picture, and he only had eyes for Upton Park. 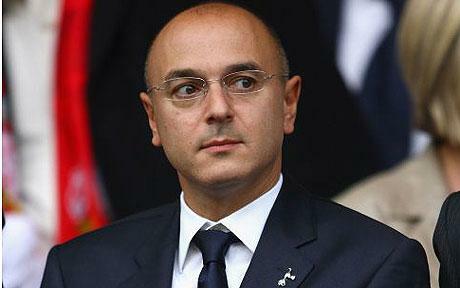 Chairman Daniel Levy had other ideas however. If he had been prepared to countenance a move to another Premier League club in the city and stump up £50 grand a week for the privilege, and the benefit of a couple of lower-half of the league clubs, doing the same for a potential top four rival was beyond the pale. Add in the fact that the Hammers had also beaten the north London club to tenure at the Olympic Stadium plus, the relationship between Levy and the West Ham triumvirate of Sullivan and the Gold brothers was anything but cuddly, and it was the very epitome of a deal that dare not breathe its own name. It’s not known whether profanity ensued or if there was a banging of fist on the table, but by all intents and purposes, a very solid ‘no deal’ was the indefatigable decision. No-one has let it be known if anyone had the bottle to suggest that keeping an unhappy player was bad for morale or not, but the lack of a body flying through the window of Levy’s office suggests that all present decided that discretion was the better part of valour. Waking up this morning therefore, Adebayor remains a Tottenham player, on his £100k wage per week, at least until the summer window opens. So, who’s to blame. Probably not the player. He was prepared to move, but wanted to go to a club were he thought he would be happy. What about West Ham? Some may accuse them of merely stirring up a bit of trouble for the neighbours, but that’s probably pushing reality a bit. More likely they saw a player that would enhance their squad and tried to sign him. What about Spurs and Levy then? Whilst the club were seeking to offload someone deemed to be less than a positive asset, Levy’s stance is clearly understandable. Genial Jim White and the calming Natalie Sawyer; hyping up deadline day is difficult when nothing happens. So, who gains from the whole bucket of shenanigans? Back in SkySportsNews HQ, our amiable doyen of the deadline day had least had something to talk about. With big blockbuster deals rarer than an Aston Villa goal, even a big no sale is something to hang your yellow tie on. (This All Blue Daze article was originally produced for ‘theaspirer’ website).